Joints of plastic components meeting highest visual requirements are gaining importance, in particular in medical technology, where very high safety and hygienic standards have to be fulfilled. Apart from conventional joining technologies, such as bonding, ultrasonic, vibration, or heating element welding, the so-called laser beam welding technique is gaining relevance. This technique is based on different optical absorption properties of the components. One of the components to be joined is transparent for the wavelength applied by the laser, the other absorbs the laser energy. The heat produced in the absorbing component is transferred to the other component by a slight pressure. Both materials melt in the contact zone, such that a weld seam of high strength is generated. However, the existing process may not be applied to microstructures, as the structures and also small components, if applicable, might be damaged by deformation or cracking. Laser beam welding has therefore been developed further to a process suited for microsystems by the Institute for Applied Materials (IAM-AWP). This process can be used for joining transparent plastic materials without damaging the microstructures. For this purpose, absorption layers of a few nanometers in thickness are applied onto the surfaces to be joined. Under a low contact pressure, the components are positioned relative to each other. The absorption layer is subjected to a laser beam at the point of connection. As a result, it is heated up and both materials are joined without any slip. 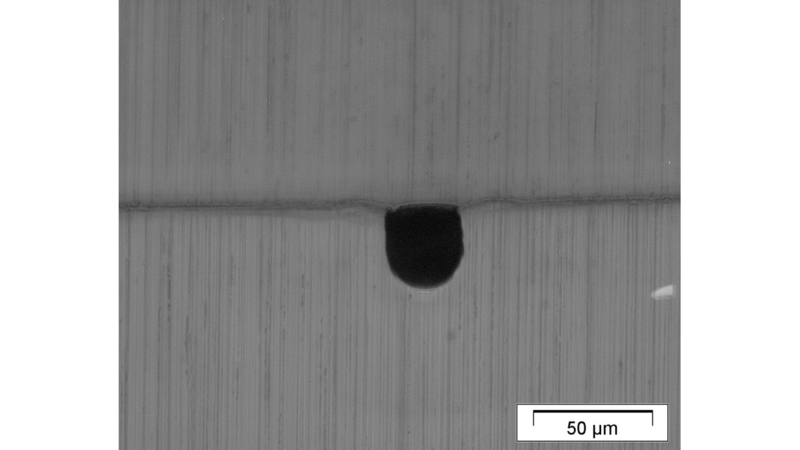 The heat impact zone of the welding process can be limited spatially, such that microstructures are preserved and system functions are not affected. Nearly any thermoplastic material may be applied, such as PMMA, COC, PC, PEEK, PS, PP, and PE.